“These sports, which have been in abeyance for some years, were revived on Tuesday under the able direction and superintendence of Mr. T. Davies, the assistant master, and were held in the school playing field. Mr. F. B. Osborne (the headmaster) acted as president, and was supported by Major Walsh, Mr. A.F. Wrigley, and Mr. P. Woodroffe as judges, Dr. Dewhurst as referee, the Rev. J.D. Thomas, B.A., as starter, and Mr. W.G. Coulton as clerk of the course. Unfortunately rain fell so heavily when the programme was partly gone through that the remainder stood over for the following day. 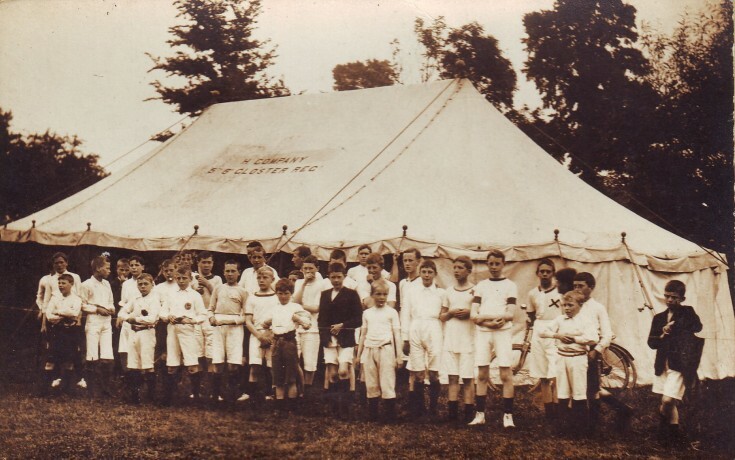 Great interest was taken in the proceedings by the inhabitants of Campden and by the pupils’ parents and friends, and given that the weather had been propitious there would no doubt have been a large attendance. As it was, the competitors showed true sporting instincts, and there were several close finishes. At the conclusion of the sports the prizes, which had been carefully selected and were of considerable value, were presented by the Hon. Mrs. O. F. Jacson. The donors to the prize fund included the Earl of Gainsborough, Capt. W. Cary-Elwes, the Rev. O.F. Jacson, Lawrence Johnson, Dr. Dewhurst, Drs. R.D.B. and J.B. Yelf, Major E. O. Skey, Messrs. A.E. Wrigley, F.B. Osborne, W.H. Welsh and others.